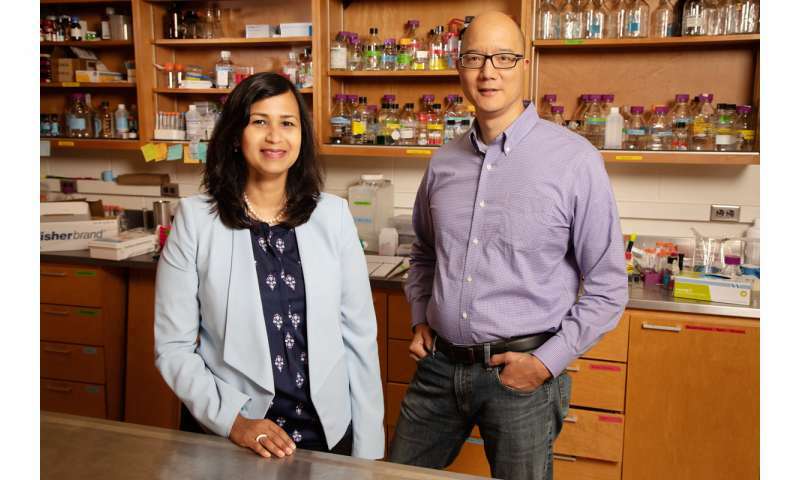 A class of molecules formed when the body metabolizes omega-3 fatty acids could inhibit cancer's growth and spread, University of Illinois researchers report in a new study in mice. The molecules, called endocannabinoids, are made naturally by the body and have similar properties to cannabinoids found in marijuana – but without the psychotropic effects. "We have a built-in endocannabinoid system which is anti-inflammatory and pain-reducing. Now we see it is also anti-cancer, stopping the cells from proliferating or migrating," said study leader Aditi Das, a professor of comparative biosciences and an affiliate of biochemistry at Illinois. "These molecules could address multiple problems: cancer, inflammation and pain." "The dramatic increase indicated that these molecules were doing something to the cancer – but we didn't know if it was harmful or good," Das said. "We asked, are they trying to stop the cancer, or facilitating it? So we studied the individual properties and saw that they are working against the cancer in several ways." "The major cause of death from cancer is driven by the spread of tumor cells, which requires migration of cells," said study coauthor Timothy Fan, a professor of veterinary clinical medicine and veterinary oncology. "As such, therapies that have the potential to impede cell migration also could be useful for slowing down or inhibiting metastases." "Dietary consumption of omega-3 fatty acids can lead to the formation of these substances in the body and may have some beneficial effects. However, if you have cancer, you want something concentrated and fast acting," Das said. "That's where the endocannabinoid epoxide derivatives come into play – you could make a concentrated dose of the exact compound that's most effective against the cancer. You could also mix this with other drugs such as chemotherapies." "Particular cancers that might be most interesting to study would be solid tumors or carcinomas, which tend to spread and cause pain within the skeleton. Some of the most common tumors that behave this way are breast, prostate, and lung carcinomas, and we can certainly explore these tumors in the future," said Fan, who is also a member of the Carle Illinois College of Medicine, the Cancer Center at Illinois and the Carl R. Woese Institute for Genomic Biology.